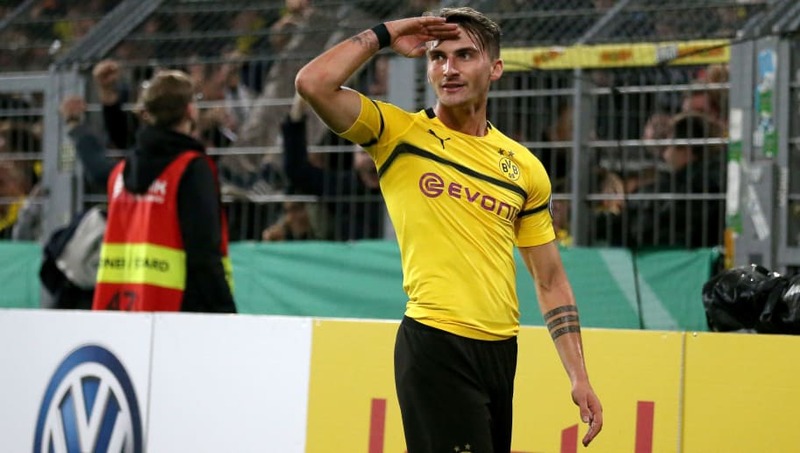 Newcastle are reportedly interested in signing Borussia Dortmund forward Maximilian Philipp in this transfer window. The Magpies have endured a difficult season in front of goal, with just 15 goals in their 21 Premier League games, giving them the second worst record in the division behind only Huddersfield (13). The report adds that ​Dortmund are prepared to sell the 24-year-old this month, and have already turned down one loan offer from Bundesliga rivals VfB Stuttgart. Whilst it is uncertain whether Dortmund would be open to a loan deal with an obligation to buy, the striker's agent has previously suggested that Philipp needed more regular game-time after an injury-ravaged season last year. The Germany Under-21 international is reportedly available for around £19m, and has been linked with both Hannover and Besiktas in recent weeks. After breaking through with German side SC Freiburg, Philipp signed for Dortmund in the summer of 2017 for a fee in the region of €20m. In his first season for the club, Philipp scored nine times in 20 ​Bundesliga matches and provided a further two assists. However, a patella tendon problem has curtailed his time with Lucien Favre's side, with the 24-year-old playing just 22 minutes of action since October.